Robert Luff & Co are delighted to present this THREE BEDROOM end of terrace family home, located in the idyllic Sussex village of Steyning. 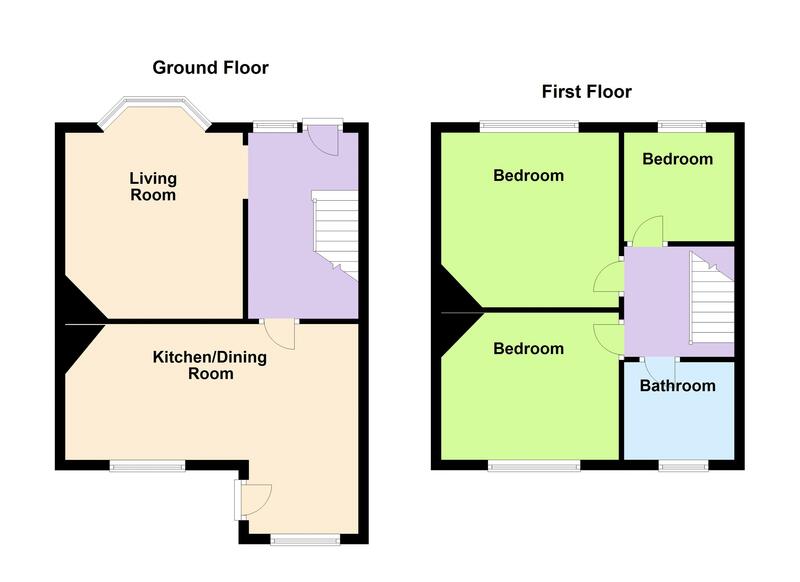 The generous accommodation features: Entrance hall, living room with open fire, open plan kitchen/diner, first floor landing, two double bedrooms, single bedroom three and a shower room. Outside, there is a FANTASTIC SIZE REAR GARDEN, formal front garden and a GARAGE. The property benefits from gas central heating with a recently upgraded boiler, double glazing and NO ONWARD CHAIN. Timber front door with glazed insert, single glazed window to front, under-stairs storage cupboard, radiator. Double glazed window to front, York stone fireplace with open fire, wall lights, coving, radiator. Coving, double glazed window to rear, radiator. Under-stairs storage cupboard housing wall mounted gas meter. Range of fitted wall & base level units, fitted roll-edged work surfaces incorporating stainless steel single drainer sink unit with mixer tap, electric oven, gas hob, tiled splash-backs, space and plumbing for washing machine, double glazed window to rear, back door to garden. Loft access, wall mounted electric meters. Double glazed window to front, coving, radiator. Double glazed window to rear, built in cupboard, wall mounted central heating boiler, immersion heater, radiator. Double glazed window to rear, fitted suite comprising: Shower enclosure, pedestal wash hand basin, low flush WC, part tiled walls, ladder radiator. APPROX. 120ft. Mainly laid to lawn, pathway, greenhouse, various plants and shrubs, fence enclosed, rear access. Up and over door. Accessed via access road to rear of property. Laid to lawn, shrubs, path to front door.